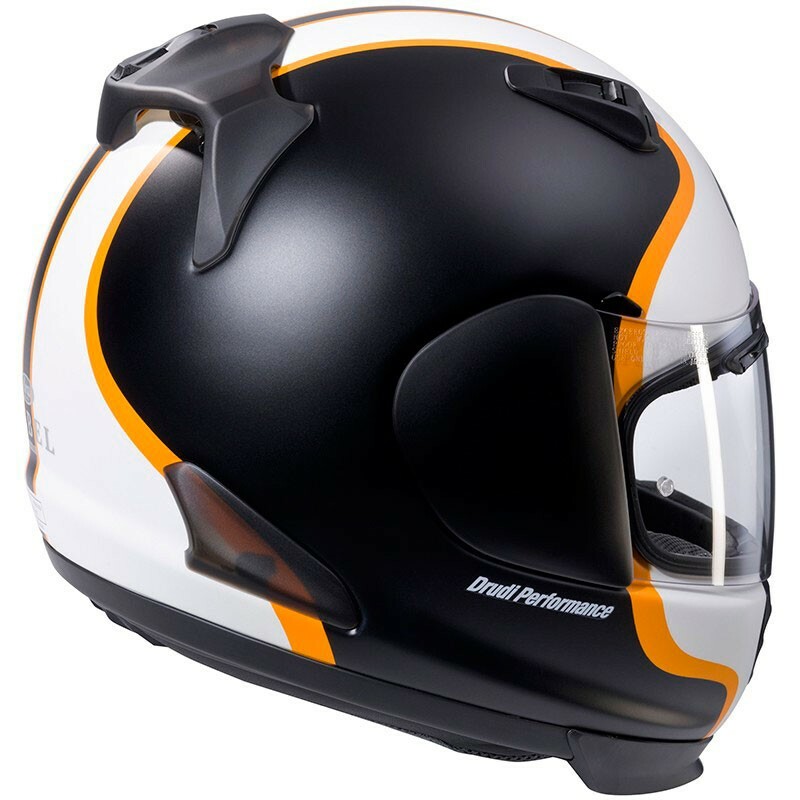 The legendary brand Arai reveals you his homologated fiber moto full face helmet the Rebel Herritage. There is a strong tendency within the motorcycle community towards simpler, more affordable bikes, without sacrificing anything towards styling or performance. This has created a whole new segment of often naked bikes with an unmistakable “street fighter” touch to them. The brand new Arai “Rebel” helmet is the perfect companion for this new bike segment. 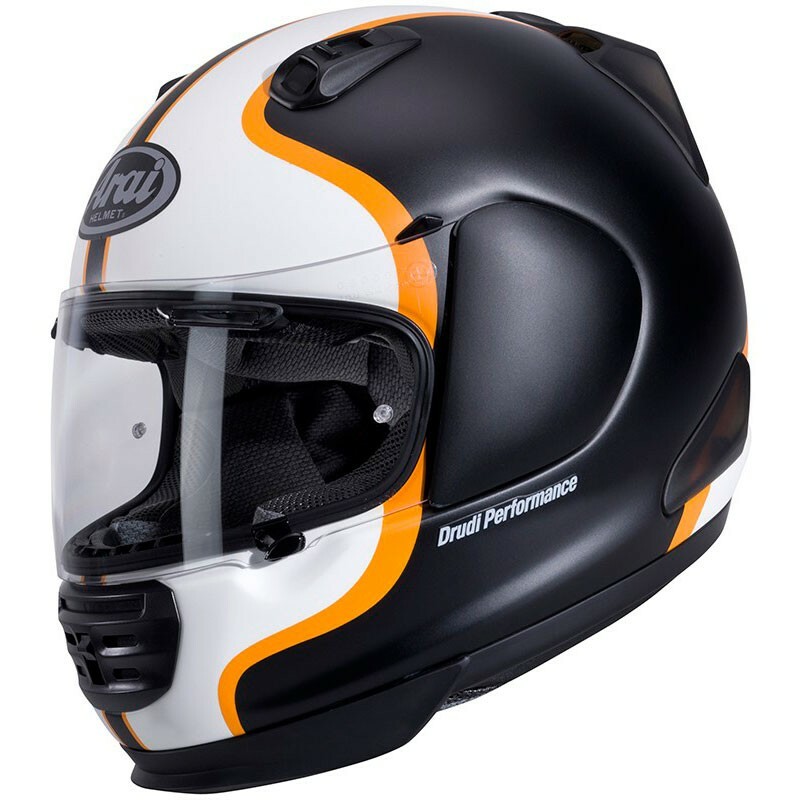 Based on the much praised fit and comfort of the Quantum, the Rebel adds an aggressively styled chin piece to this new concept. 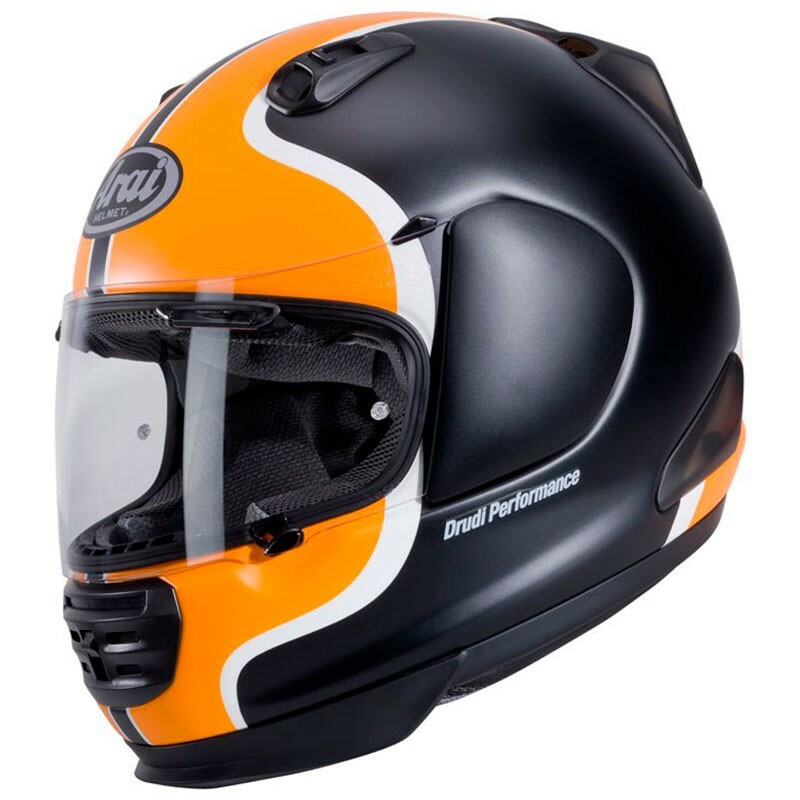 As these bikes offer a more upright seating position and hardly any wind protection, the chin piece of the Rebel is designed to guide the wind around the neck and to improve the aerodynamic properties of the helmet. The integrated chin bar spoiler and the shape of the chin bar improve the wind cheating properties of this helmet. 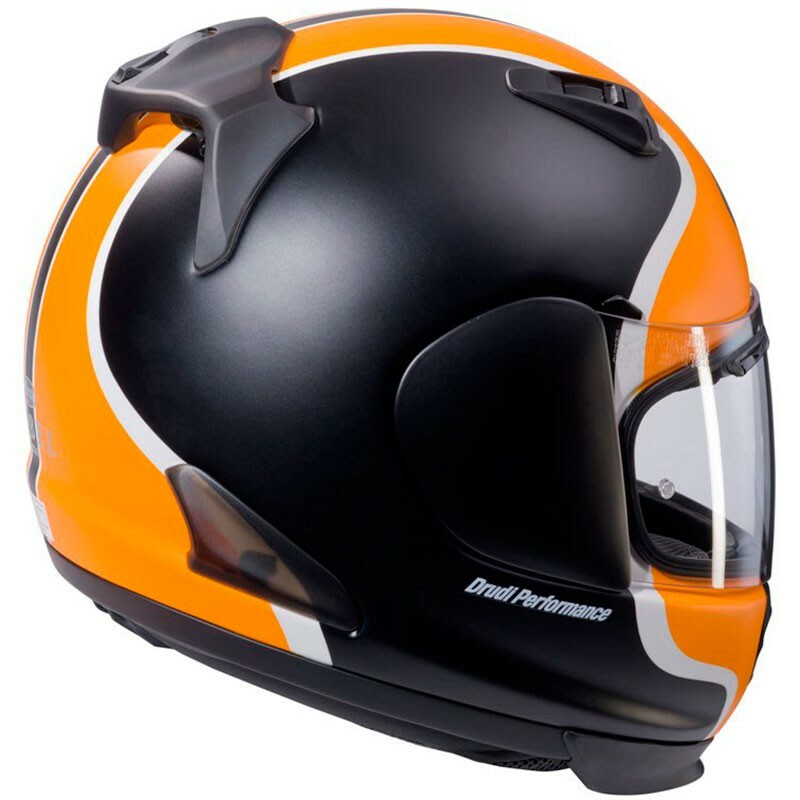 These have also been adapted to the different angle of the head and helmet in relation to the wind and the weight balance of the helmet. The final result is an aggressively, yet functional styled chin piece in which form follows function. Large ventilation vents underline the “rough and tough” lines of this remarkable helmet. The result is a tough looking, street-wise helmet that appeals to the riders of this new bike segment. The chin piece does not only look terrific, but offers also added comfort because of the increase in chin space. Another Arai breakthrough in advanced helmet technology is FCS, short for “Facial Contour System”. The FCS cheek pads offer an integrated “spring” action. This makes putting the helmet on easier with less effort needed. With FCS the cheek pad wraps under the jawbone and on the cheekbones instead of mostly on the soft cheek area. Although the fit feels looser, FCS actually offers secure support over a larger area providing superior stability and comfort with minimal pressure. The new “Peel Away” pads offer thin surface pads that can be removed from the headliner as well as the top surface of booth cheek pads to achieve the best possible, personal fit and minimize the need to purchase additional padding.